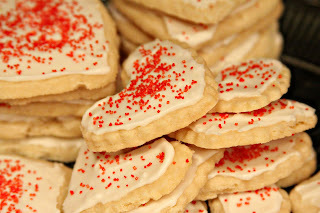 We made Valentine cookies yesterday and they were so pretty I had to take a picture. Pretty and yummy! Thanks to my buddy Sarah for the recipe! We had a great time cutting them out and decorating them for church Sunday night.